The campaign motto may be “He Gets It Done,” but Interim Mayor Ed Lee is rapidly falling behind in getting things done when it comes to filling vacancies on key city boards and commissions — in some cases halting the city’s ability to function. Nearly four dozen seats wait for appointees, and in some cases the vacancies have lasted past the three months appointees can be held over, resulting in empty positions. More than half the appointed positions have yet to be filled in some commissions. Lee’s record of missing deadlines is a carry-over from his performance as the city’s Chief Administrative Officer, a job with a big title but few duties. In 2009 Lee was directed by the Board of Supervisors to create an interactive data base of all city boards and commissions as an avenue to encourage greater civic participation. Lee missed the December 31, 2010 deadline and the system had to wait for his replacement as Chief Administrative Officer to get it done — nearly six months past the deadline. Amazingly, Lee claims the interactive database as one of his prime examples of getting things done on his campaign web page, taking credit for the program that actually was the creation of his rival, Board President David Chiu. Lee’s claim that the system is evidence of a new transparency under his leadership rings particularly hollow in view of Lee’s decision to bypass entirely a public process for appointing members of the city’s Redistricting Task Force, the critically important body that will draw lines for supervisors’ districts for the next decade. Unlike the Board and the Elections Department that created an application process and public hearings for applicants, Lee never opened the process for public participation, did not create applications and named two of three members who never indicated an interest in serving. “There were no formal applications required from any of our candidates,” the mayor’s office informed CitiReport. “Therefore, we do not have any applications on file for the individuals mentioned.” The two who did not have applications on file were Sonia Melara and Marilys Mondejar. On Ed Lee’s campaign web site, a different story is told about the commitment to an open process. “This one of a kind interactive tool makes San Francisco government more transparent, efficient and easier to engage in for the public. Creating this easy and efficient way to search commissions and board vacancies has improved the City’s ability to attract a diverse and talented pool of candidates,” reads the claim for Candidate Lee. Some 66 commissions, boards and advisory groups list vacancies on the interactive database, including some of the most significant in setting and implementing policies and approving contracts. Among the recently expired appointments is Eleanor Johns, the Willie L. Brown Institute’s Executive Director, who serves on the Airport Commission. Brown has had a strong interest in contracts at the airport. Two expired seats are at the seven member Redevelopment Agency, controlling major swaths of San Francisco’s urban planning. According to the data base, the San Francisco Housing Authority also has two expired commission slots. The Civil Service Commission already was down two seats when Commission Vice President Don Casper was killed by a hit-and-run driver. His death means that the Civil Service Commission now lacks a quorum and had to postpone its September session when it was set to hear a major case involving the Planning Department. Had Lee filled either of the two seats that have been vacant since June, the commission could have proceeded with its work. Even the Human Rights Commission, once headed by Lee and whose significance he cites in making his case that he is a record-setting manager, now has five of 11 seats where appointments have expired, according to the data base. It was as the HRC Director that Lee was faced with the demand to certify Charlie Walker and others as legal minority-owned businesses. When he failed to do so, then-mayor Willie Brown moved Lee into the Purchaser’s position where Lee did approve the contract for the controversial Brown backers. Lee is currently facing a court challenge over his appointment of Richard Johns, husband of Eleanor Johns, to the Historical Preservation Commission. Meanwhile, Lee has yet to fill an expired term on that same commission. While disabled access is an increasingly important consideration as the city goes about retrofitting buildings, roads and public spaces, the Mayor’s Disability Council is missing six of its nine members. City Hall has designated key priorities from the central waterfront to mid-Market to the Central Subway and established special advisory groups to move those projects forward. In almost all cases, however, Lee failed to make numerous appointments. The Central Subway Advisory Group is missing seven appointees. The Mid-Market Project Area Committee is missing five members. The Bayview Hunters Point Project Area is missing five members and the Mayor’s Hunters Point Shipyard Advisory Committee is missing 16 of its 33 members. The Central Waterfront Advisory Committee, focusing on the area where the America’s Cup will play out, is missing one of its members. 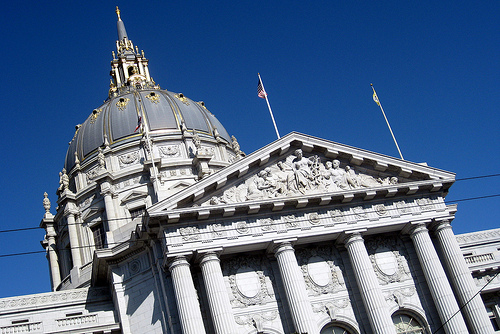 The Workforce Investment San Francisco entity is missing 14 of its 30 seats. This is the group that partners with the Office of Economic and Workforce Development setting strategy to coordinate the public and private sectors. Among other duties, the office handles Park Merced, the America’s Cup, and Treasure Island. Controversies have surrounded new policies at the Library, Recreation and Parks Department and Golden Gate Park in particular. The Golden Gate Concourse that is given a key role over Golden Gate park aspects lacks four of its seven members. The Library Citizens Advisory Committee that deals with expenditure of library bond monies (think North Beach Library remodel controversy) has 14 vacancies on its 17 member commission. Not all city commissions, board and advisory bodies are equally weighty when it comes to establishing and implementing city policy. In some cases, the best that can be said is that there was a constituency for at least some period of time that resulted in creating advisory groups with a specialized focus. The Board of Supervisors also makes appointments to a number of the 66 groups with vacancies, although vacancies in the overwhelming majority are seats filled by mayoral appointment or by Departments that report to him. Even if Mayor Lee appoints people to fill the seats, whether the commissioners are showing up remains unknown. Lee promised after several inquiries to create a system that will report to the public about commission attendance, but decided to implement it on a quarterly basis. The first report isn’t due until a few weeks before Election Day. One thing is clear: even if a commissioner is a no-show, it won’t result in action by the Mayor’s Office. Regina Callan, a midnight appointment by then-mayor Gavin Newsom last November, failed to attend any meetings of the General Obligation Bond Oversight Committee until its August meeting when the minutes state that she arrived and was sworn in. An eight month absence apparently was not a problem.